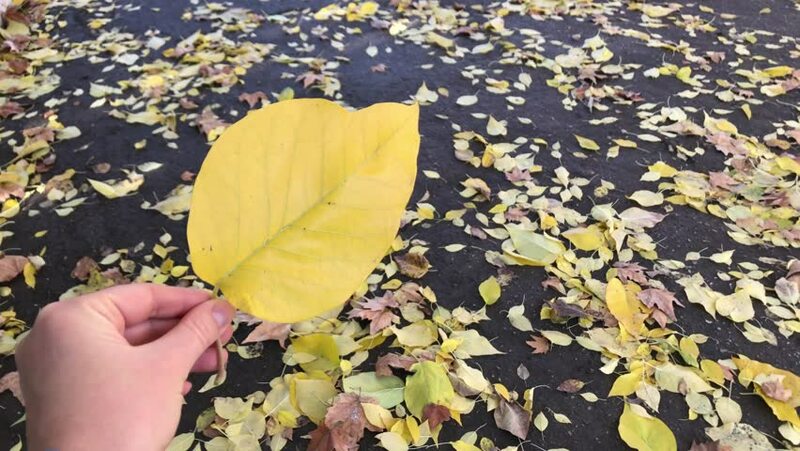 Autumn Big yellow leaf in hand fall november. 4k00:22Big yellow leaf in hand close-up carry people and around autumn leaves. Trees and grass blue sky fall november. 4k00:13The girl among the yellow leafs. Slow motion. Top view. A young cheerful girl lies on the leaves. She looks on the up and smiles.